Binders and notebooks and pencils… oh my! School is back in session and crazy is the only word that can perfectly describe your new schedule. Whether you need a quick bite between football practice and piano lessons or just some family time around the dinner table, Eat’n Park is your go-to destination. Plus, you can use the coupon below to enjoy 20% off your dine-in or takeout purchase! Coupon valid August 29- September 3, 2018. It’s time to get your Steel City spirit on with our new lineup of Black & Gold apparel! For starters, your favorite yinzer will love our “It’s a ‘burgh thing” t-shirts. They’re only $9.99, and are great to wear at any Pittsburgh related event! (This fun design is also available as a zippered hooded sweatshirt for only $24.99!) 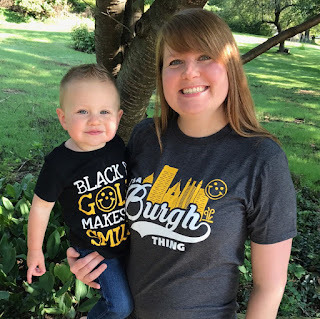 Next, make your toddler smile with our “Black & Gold Makes Me Smile” shirts. Perfect for running around the playground, you can pick up one of these stylish new shirts for only 7.99! 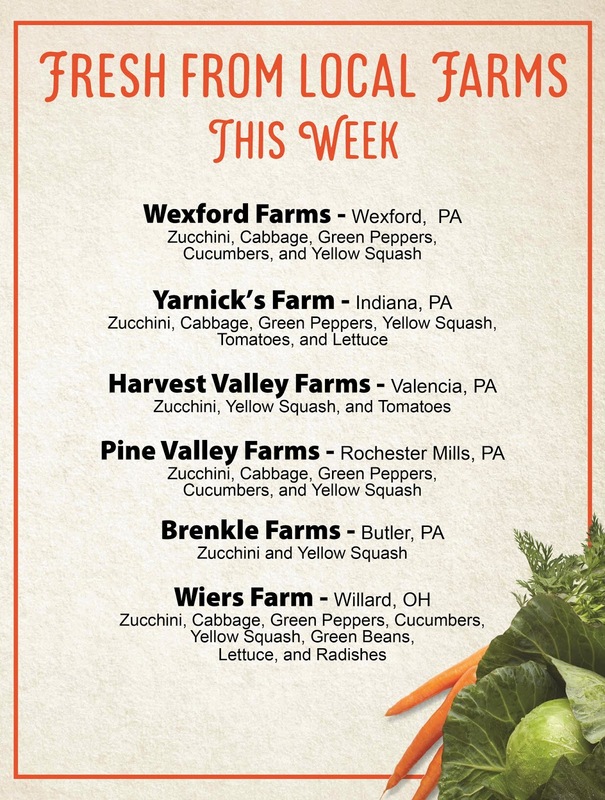 Check out what's fresh and local this week at Eat'n Park! 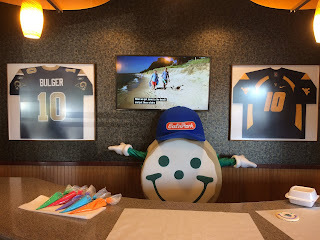 If you want to go on one last trip before heading back to school, check out www.findsmiley.com to see where Smiley will be next, so you can visit him! You can also follow all of Team Smiley’s adventures on Twitter and Instagram by following us @EnPTeamSmiley. Parker, our soon-to-be service dog, has been hard at work training with our friends at Guardian Angels Service Dogs! Once her training is complete, Parker will support a veteran in need! Read on to learn the latest on Parker's journey. Parker has spent the last 6 weeks with her new foster family. She has mastered all of her basic commands and is very responsive in both the home environment and out in the public. Parker has already put her training into action when she gave an alert for an oncoming anxiety attack for someone with high functioning autism who was visiting her family at the time. She is a sweet dog who loves to play and is eager to learn more every day! 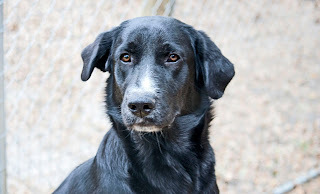 To learn more about our sponsorship of Parker, click here.